Born and raised in Indiana, Shawn Doles is a former two-sport athlete at the Division I level and has been involved and interested in health and physical fitness ever since. 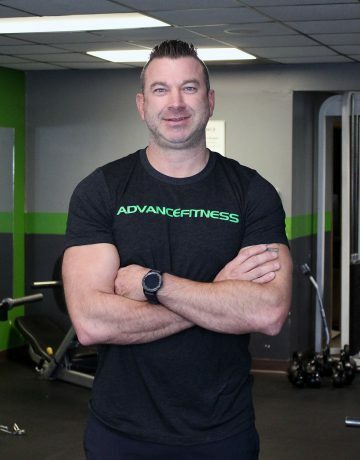 He loves being healthy and in shape, so it’s a natural fit for him and his wife, Beth, to become co-owners of Advance Fitness. Shawn and Beth are parents to son Ryker and live in the Springfield area. His favorite possession is his faith in Jesus Christ.